Initially David was a self-taught maker, developing techniques from books and from examining other makers’ guitars. Then he went to train with José and Liam Romanillos. 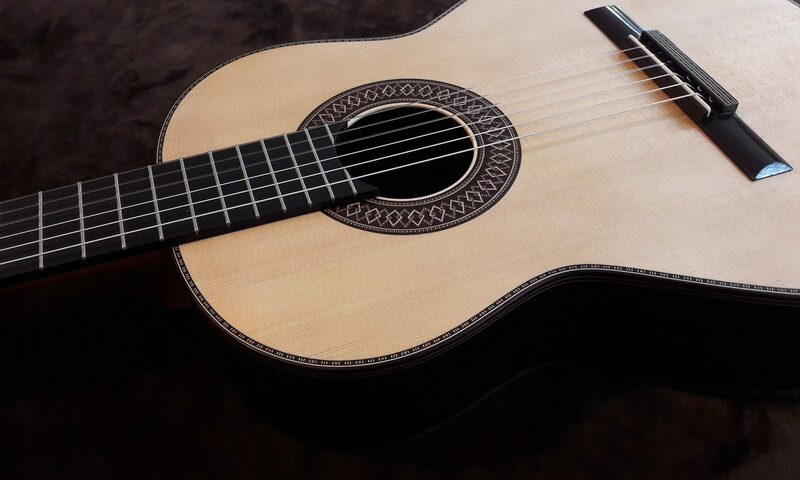 He also cares for one of the largest collections of classical guitars in the UK, Granary-Guitars, servicing and restoring fine instruments from makers such as Panormo, Arias, Fleta, Hernadez y Aguado, Friedrich and Hauser, which inspired David to develop his own unique, individual style of guitar. David has taken part in various Festivals – West Dean Guitar Festival and Charlton Kings, and also given talks at the Weston Arts and Crafts Society. He is also frequently seen at the Granary Guitars open days and at the North Bucks Guitar Club where he is Musical Director. Milton Keynes Classical Guitar Society meets once a month and offers guitar players of all standards to play in an ensemble. The Society’s Musical Directors are David and Les Backshall. One of the past Musical Directors is Eric Hill who is also a member of the De Parys Trio along with two exceptional musicians who are colleagues of David’s from Bedford School, Martin and Jill Hughes. David has also exhibited his guitars at Dillington. Originally from Hertfordshire, David now lives and works in Olney, Bucks. He can often be found playing one of his own guitars at Milton Keynes Classical Guitar Society. 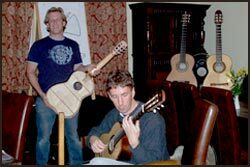 David Merrin was the guitar coach on the film “Bride and Prejudice” where he taught guitar to Aishwarya Rai and Martin Henderson. 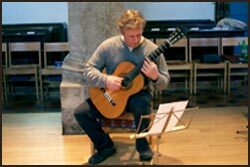 He has taken part in various Festivals – West Dean Guitar Festival and Charlton Kings, and also given talks at the Weston Arts and Crafts Society. He is also frequently seen at the Granary Guitars open days and at the North Bucks Guitar Club where he is Musical Director. David has been recorded playing in Weston Church, Hertfordshire. He has also played on various DVDs. 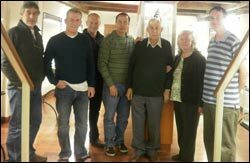 In October 2010 David visited the Center Vihuela de Mano and the Spanish Guitar “José Luis Romanillos” which is a guitar museum in Siguenza, Spain. This museum houses many wonderful guitars including Antonio Torres, Santos Hernandez, Pages and Romanillos. It also includes the workshop of Santos Hernandez. Well worth a visit. Check out the Museum website. A selection of Spanish pieces played on 19 original instruments from the Granary-Guitar collection and demonstrating the unique and beautiful sound of the traditional Spanish guitar. 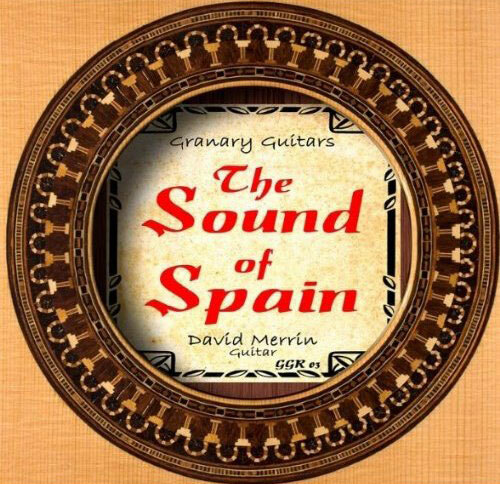 Played by David Merrin and recorded by John Taylor, the CD includes a 32 page booklet with details and measurements of the guitars, an explanation of the recording process by John Taylor and an introduction by Sr José Romanillos. This recording includes many of the pieces which first encouraged David to take up the classical guitar. The tracks are: La Maja de Goya (E. Granados), Allegretto from Sonatina in A (F. Moreno Torroba), Cordoba (Isaac Albeniz arr. Merrin), Asturias (Isaac Albeniz), Capricho Catalan (Isaac Albeniz), Cancion del Fuego Fatuo (M. de Falla), Ritual Fire Dance (M. De Falla arr. Merrin), Cancion de Cuna (Leo Brouwer), Recuerdos de L’Alhambra (F. Tarrega), Andante from E minor Flute Sonata (J.S. Bach arr. Merrin), Chaconne from Violin Partita No. 2 (J.S. Bach). 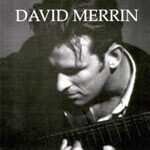 This CD is available direct from David at david@davidmerringuitars.com.